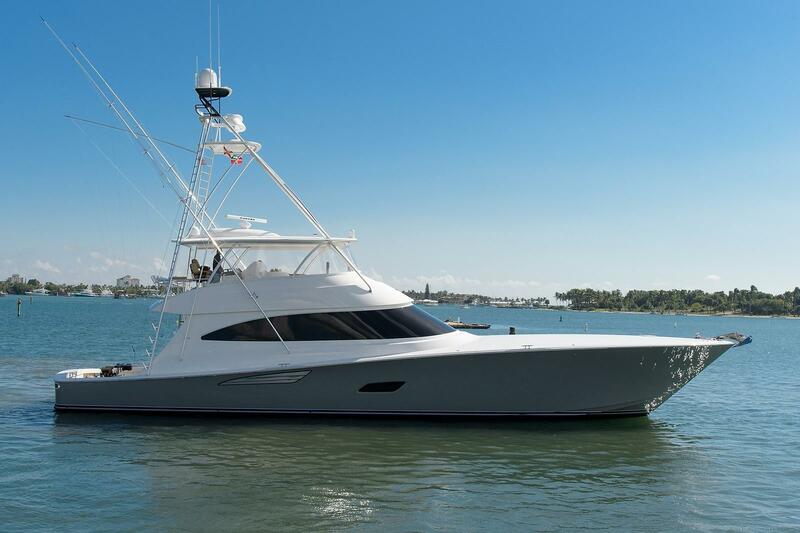 2017 Viking 80' Convertible "HMY 80 Viking Trade"
This 2017 VIKING YACHTS 80 CONVERTIBLE has been equipped with the very best VIKING YACHTS has to offer and has only 525 hours on her MTU engines with MTU extended propulsion coverage until February 2021. 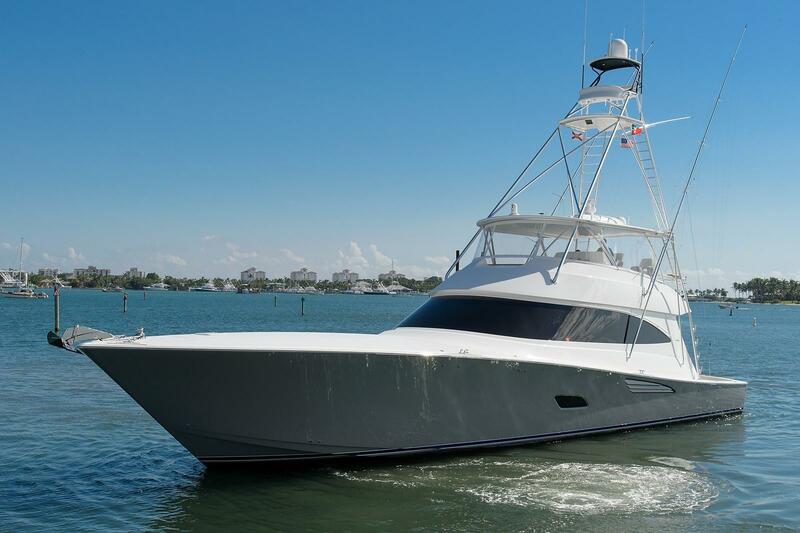 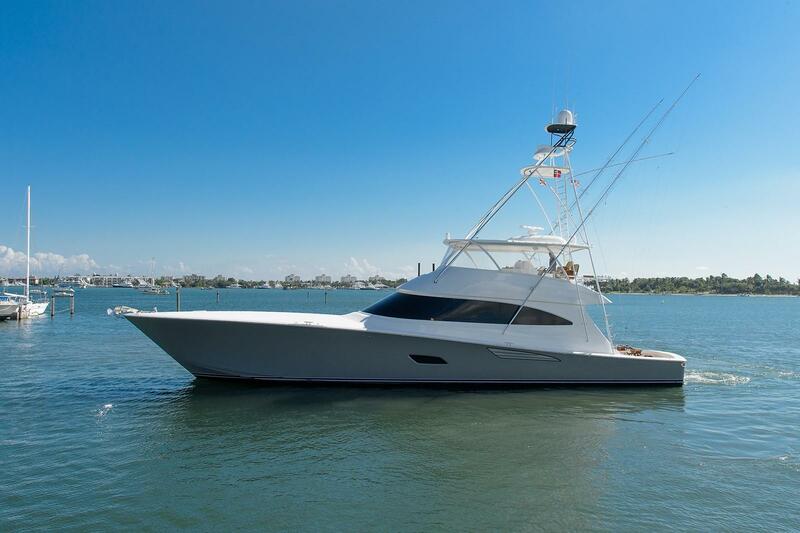 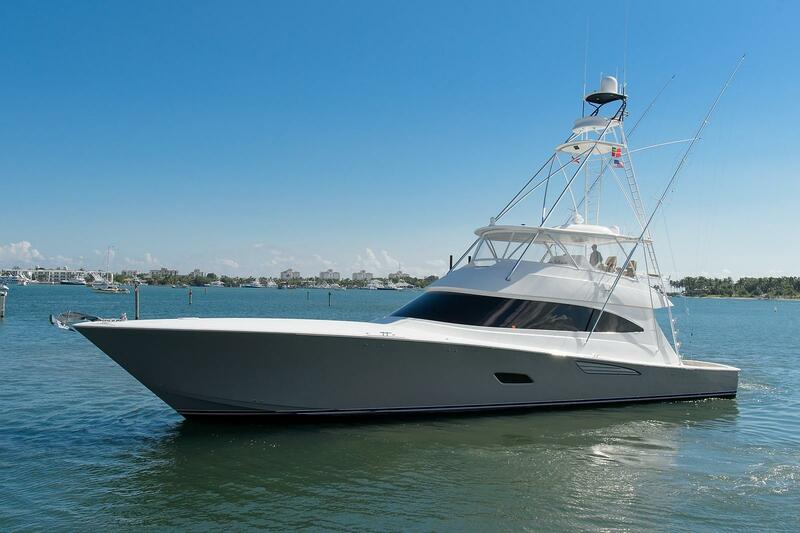 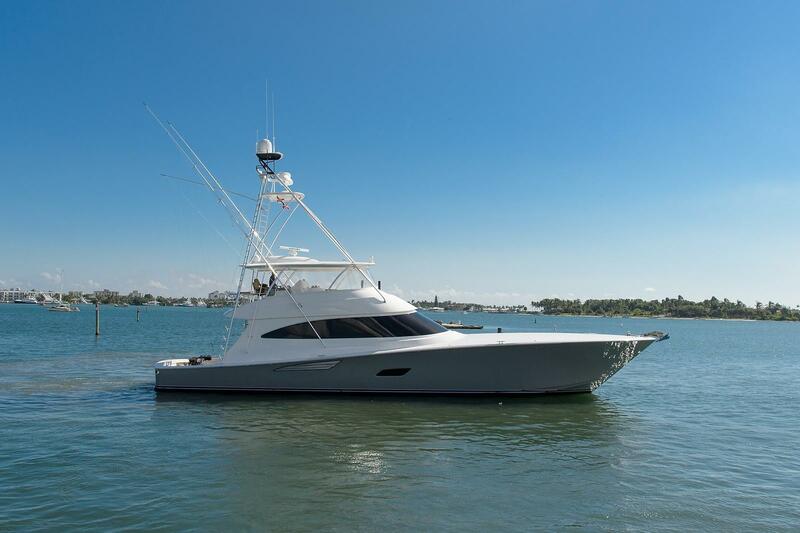 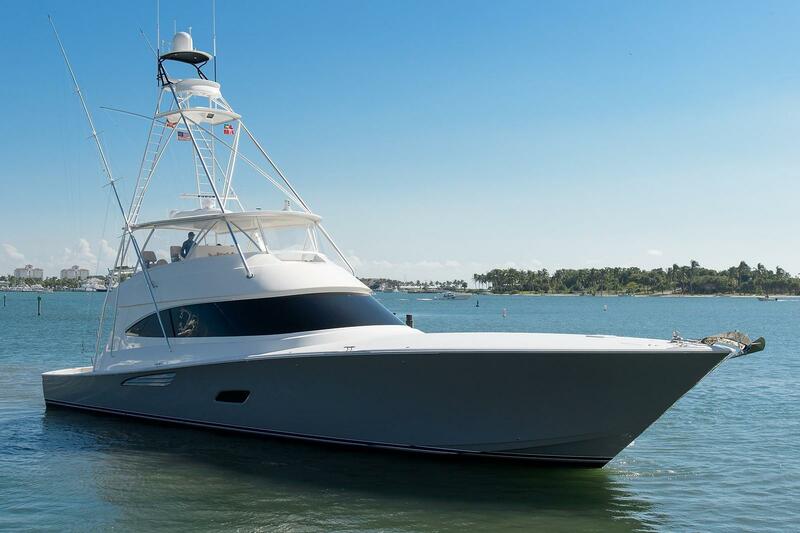 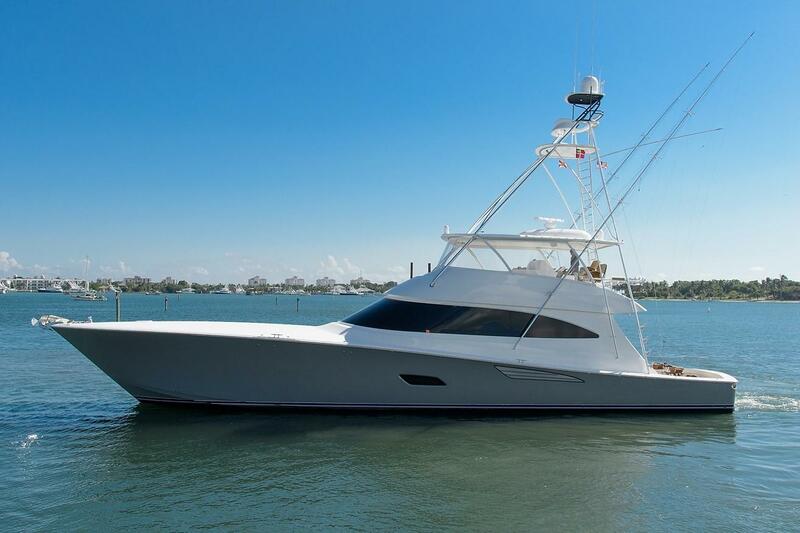 She was outfitted to be VIKING YACHTS' personal demo and was sold just after completion to her current owner who is moving up to a larger VIKING. 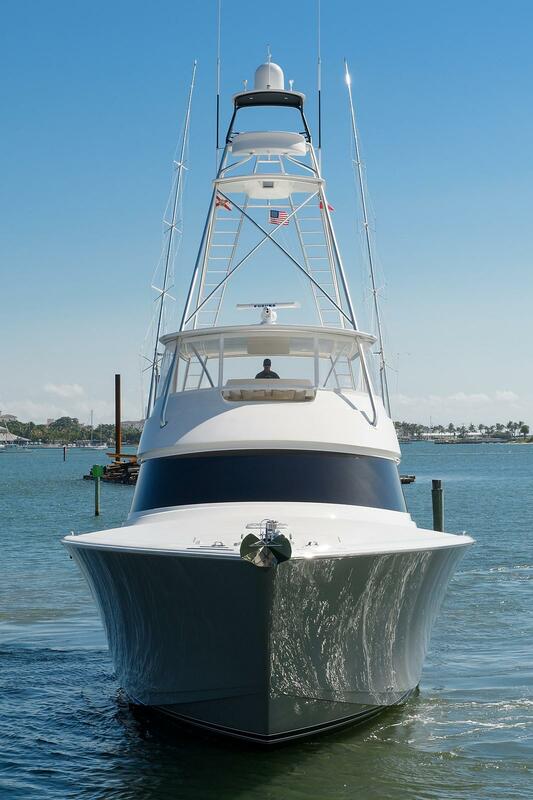 Mint condition best describes her. 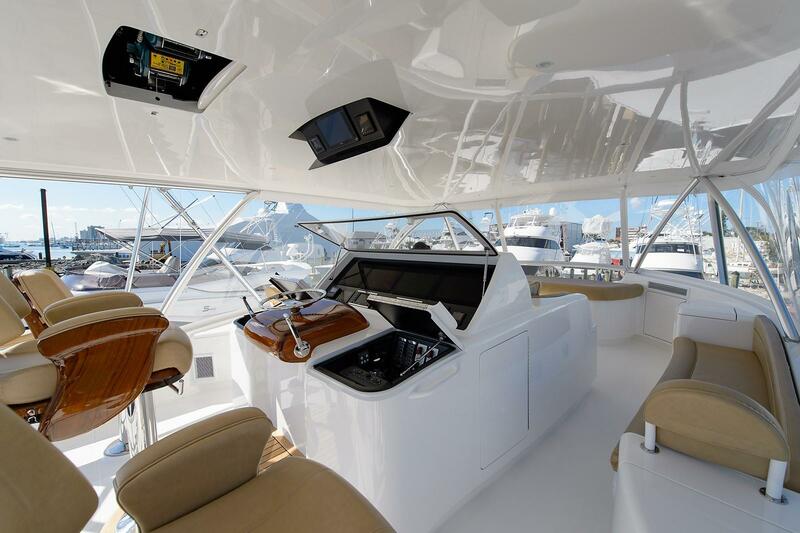 This VIKING YACHTS 80 is turn key in every respect and available today. 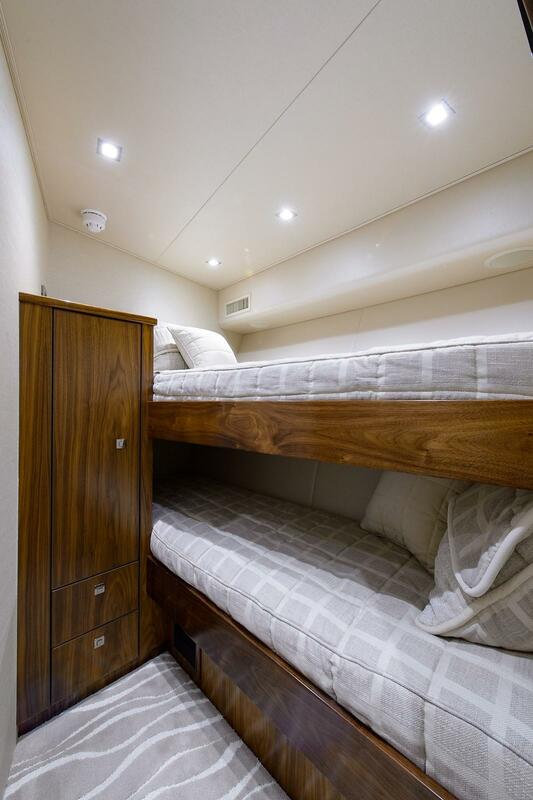 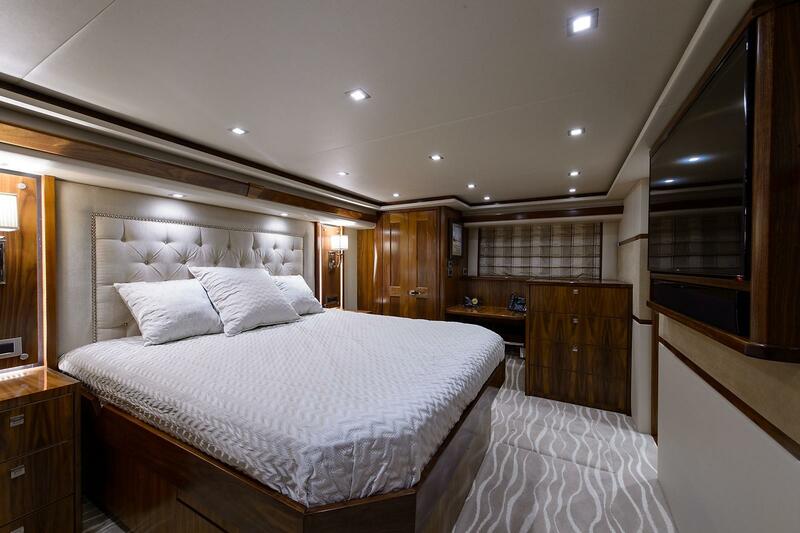 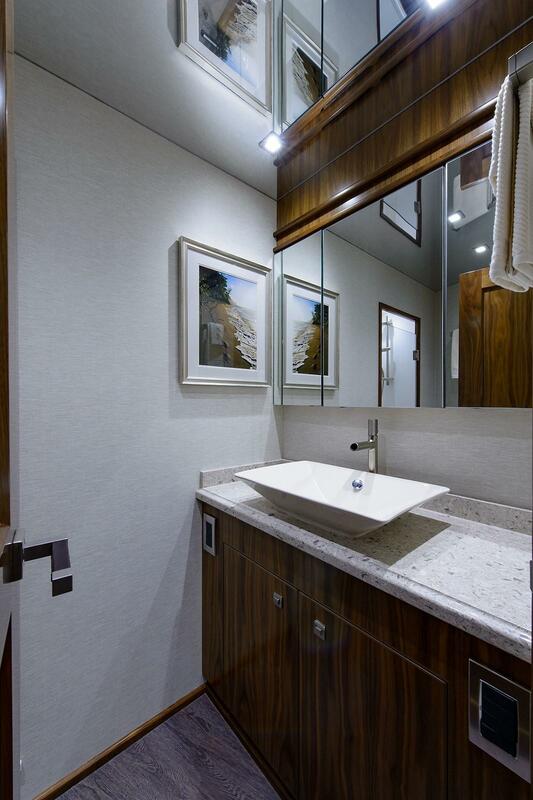 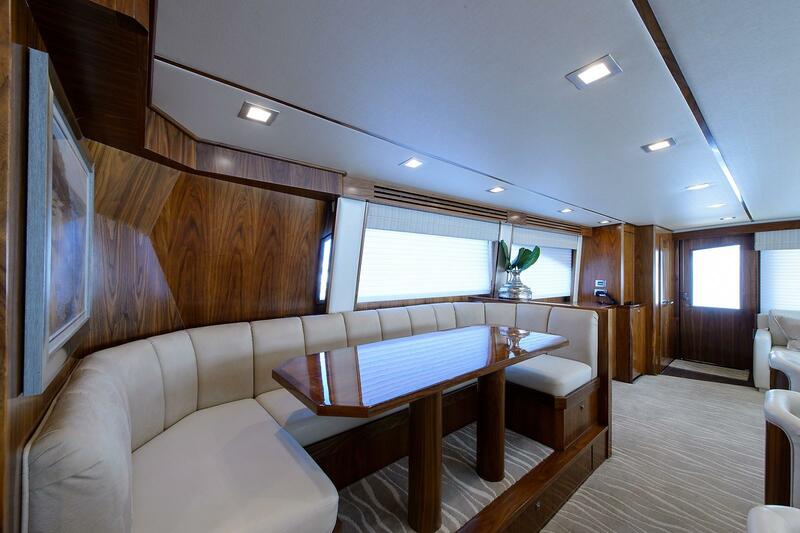 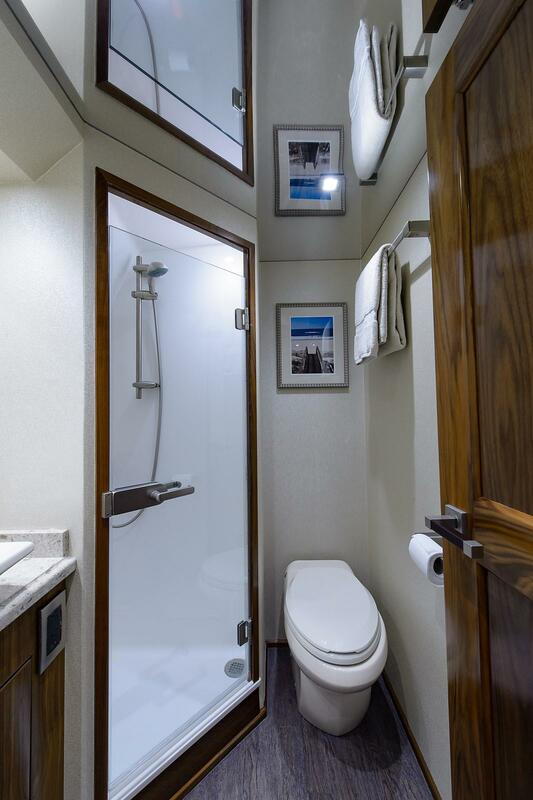 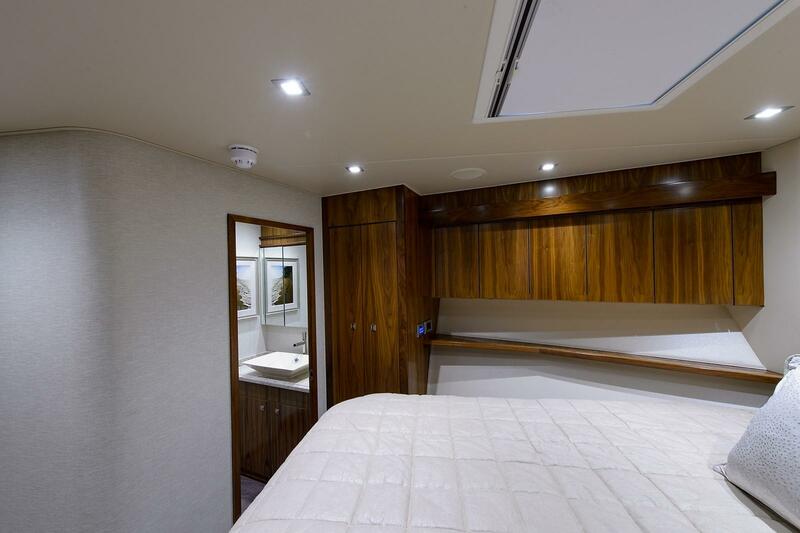 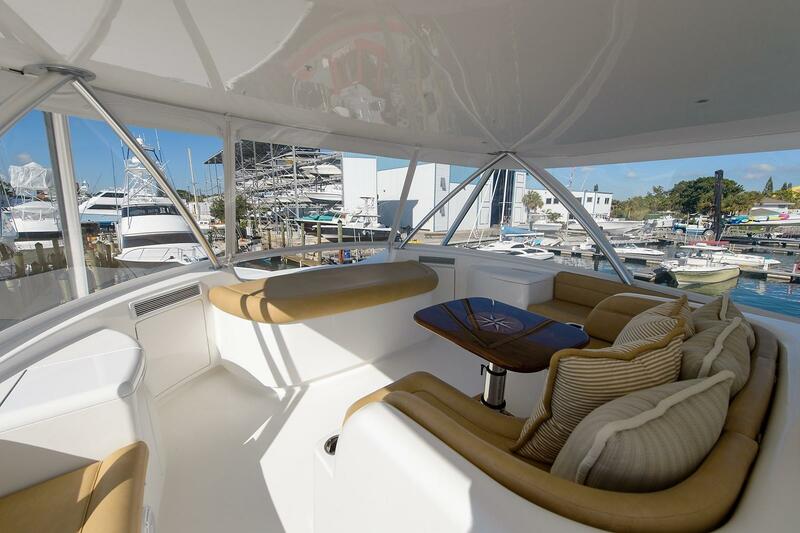 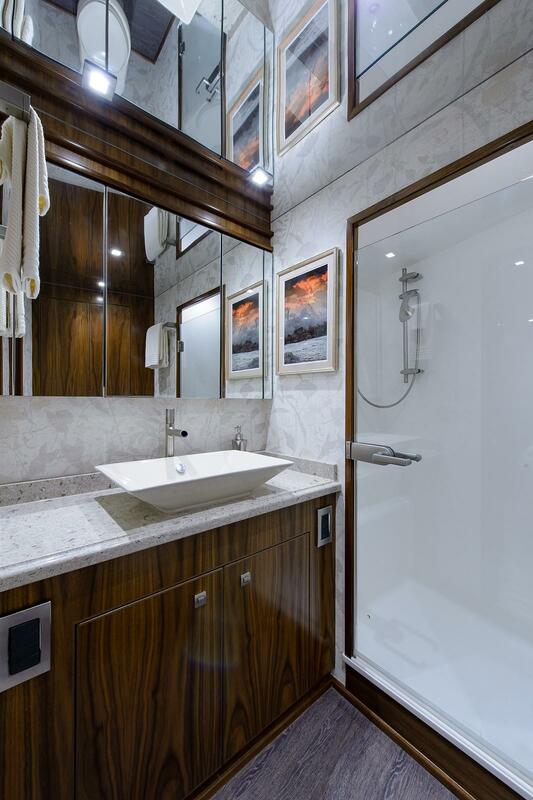 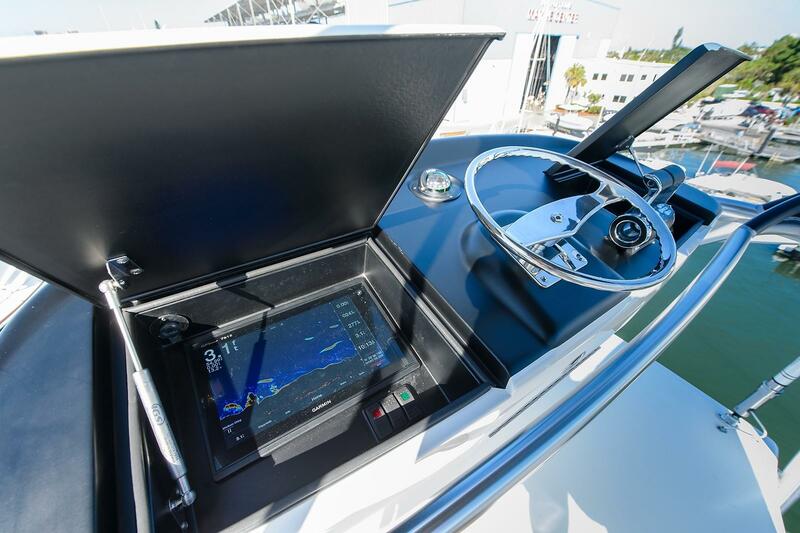 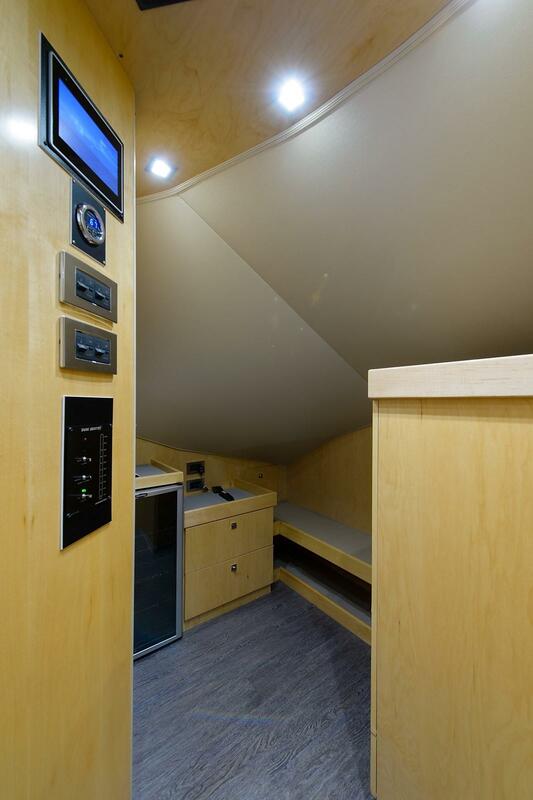 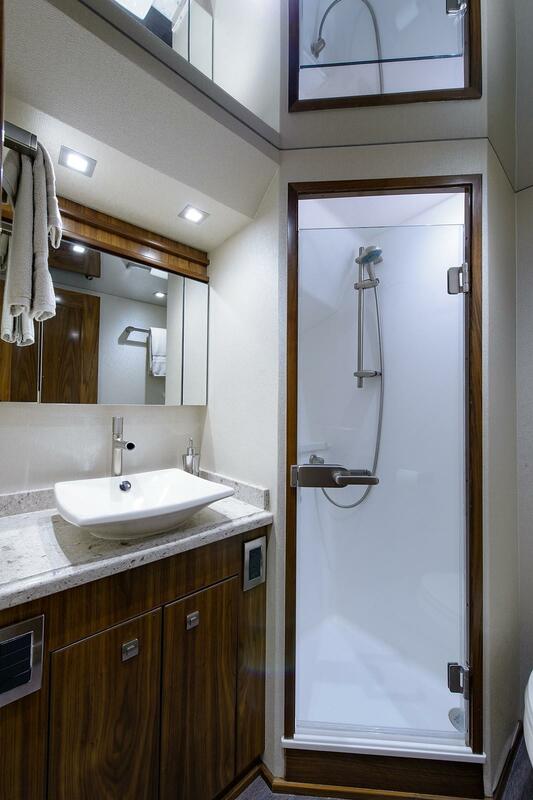 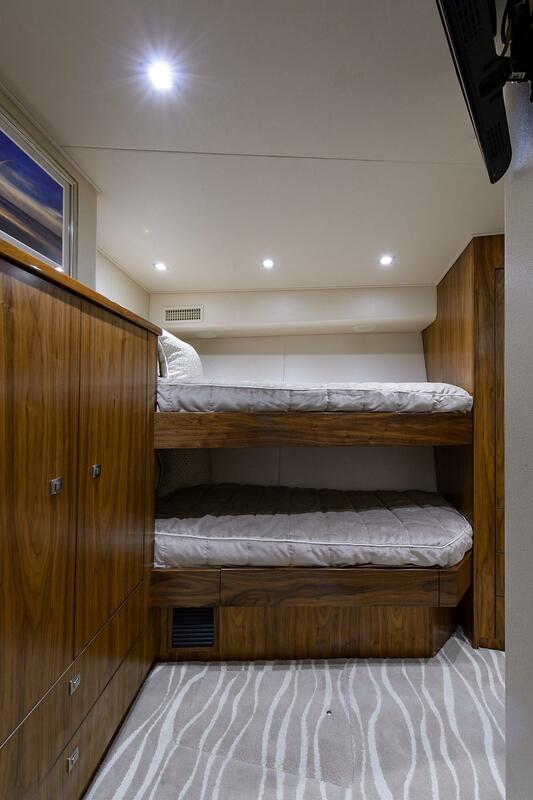 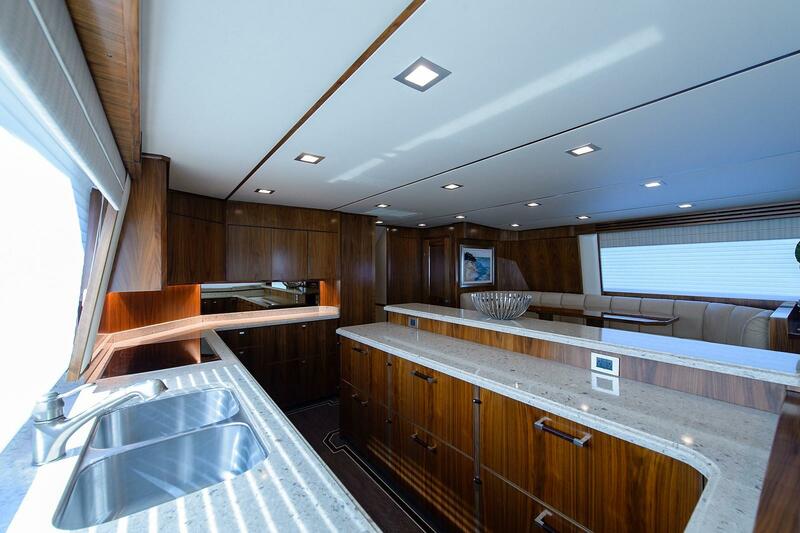 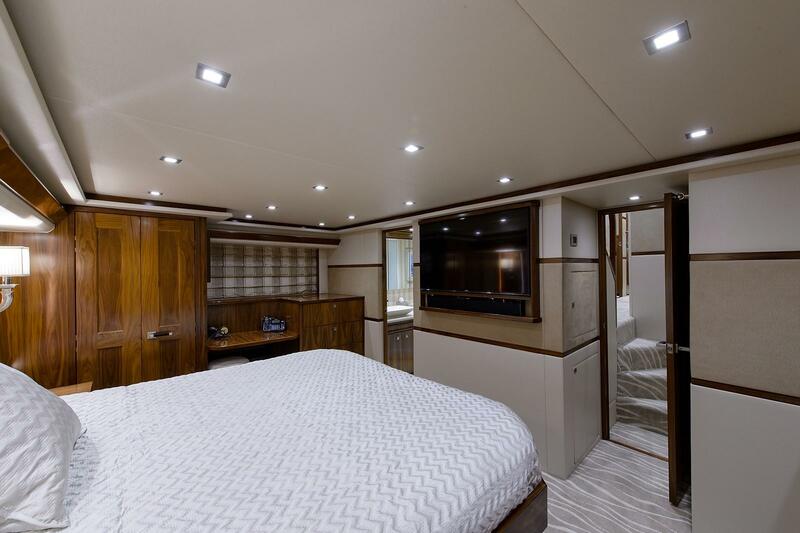 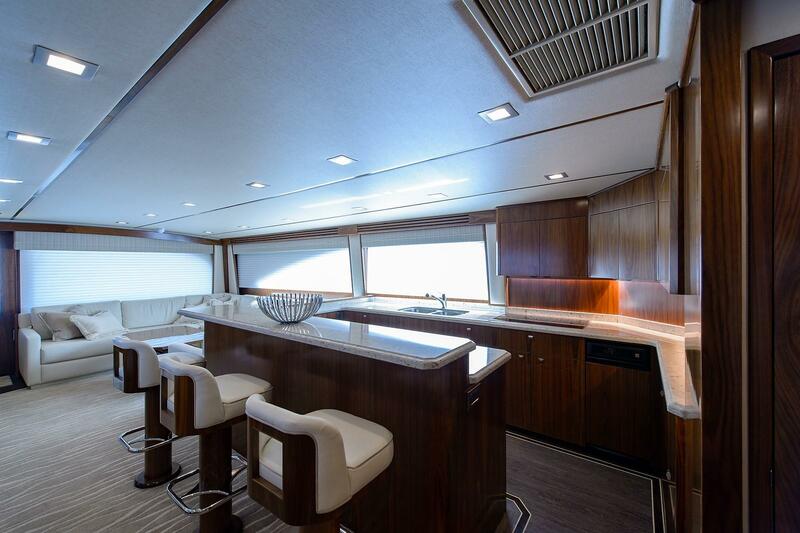 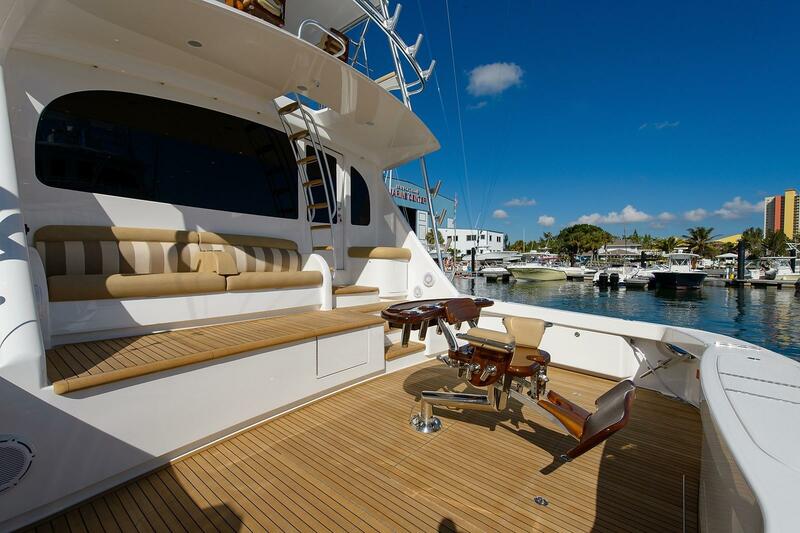 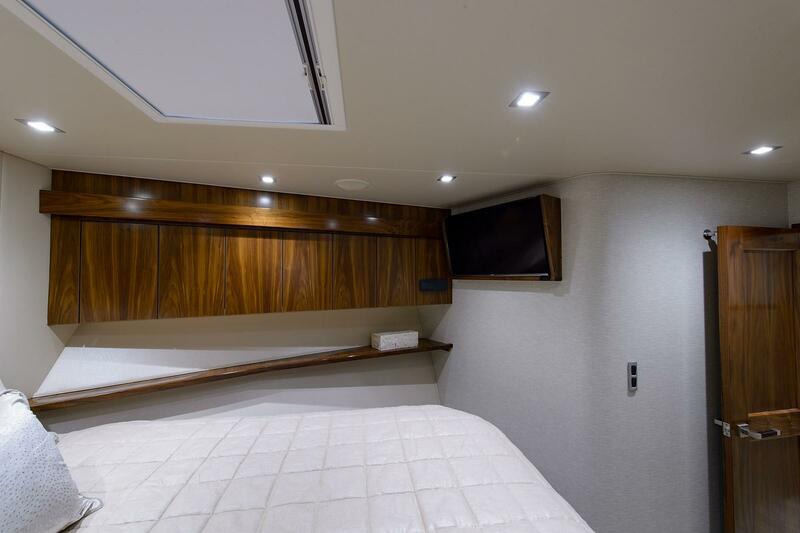 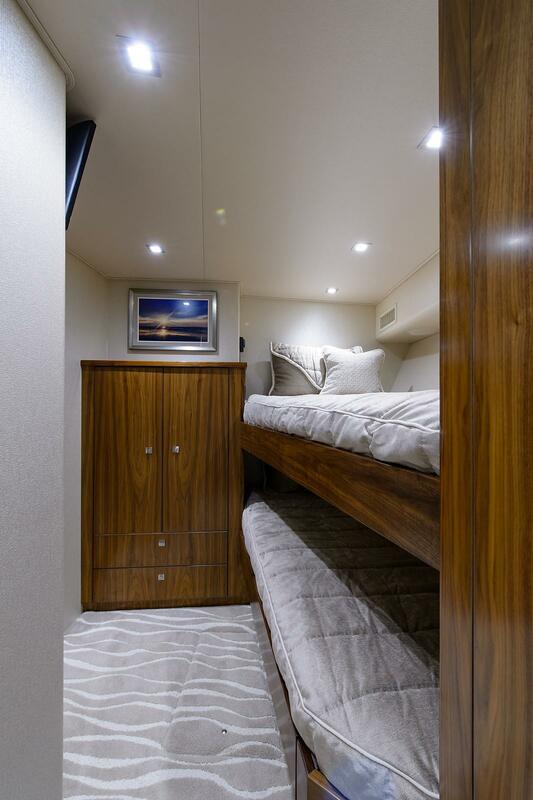 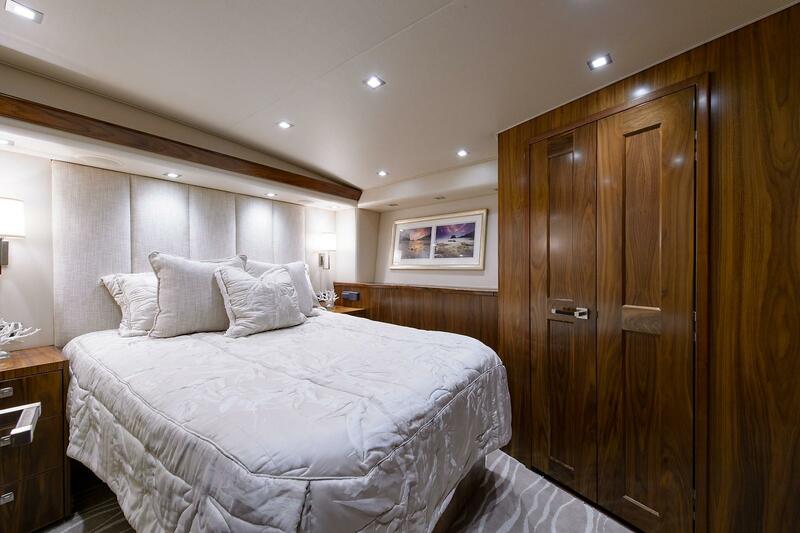 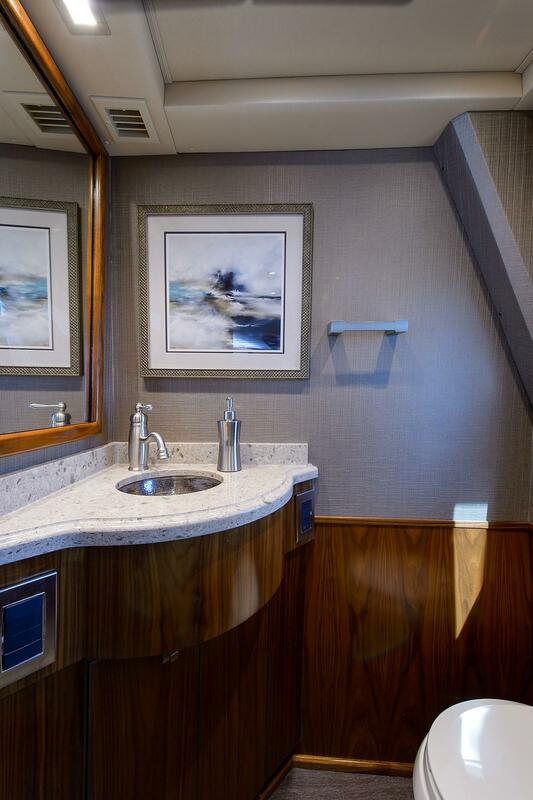 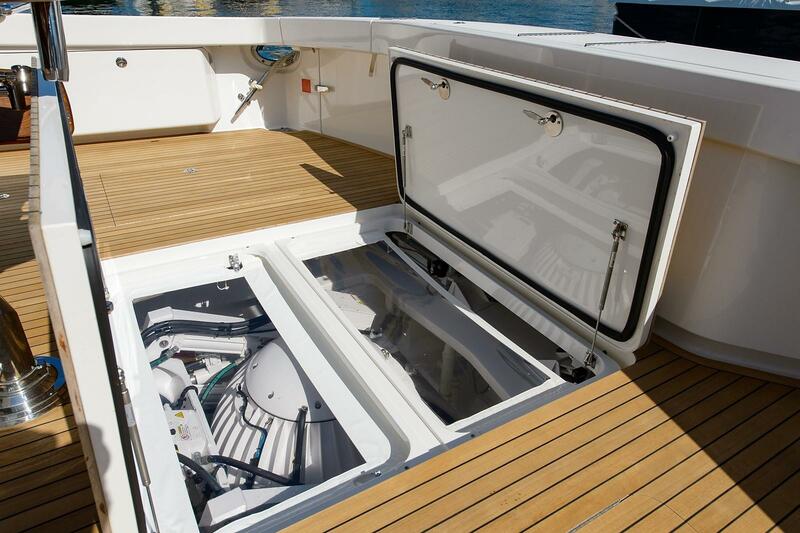 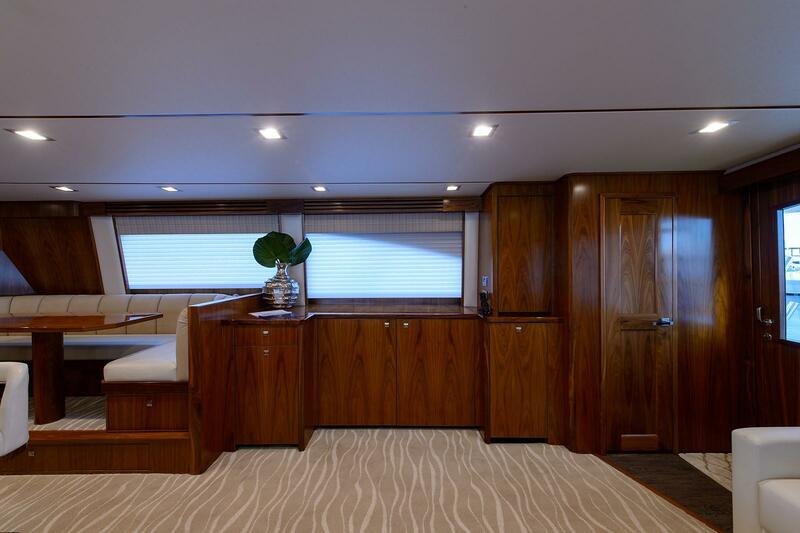 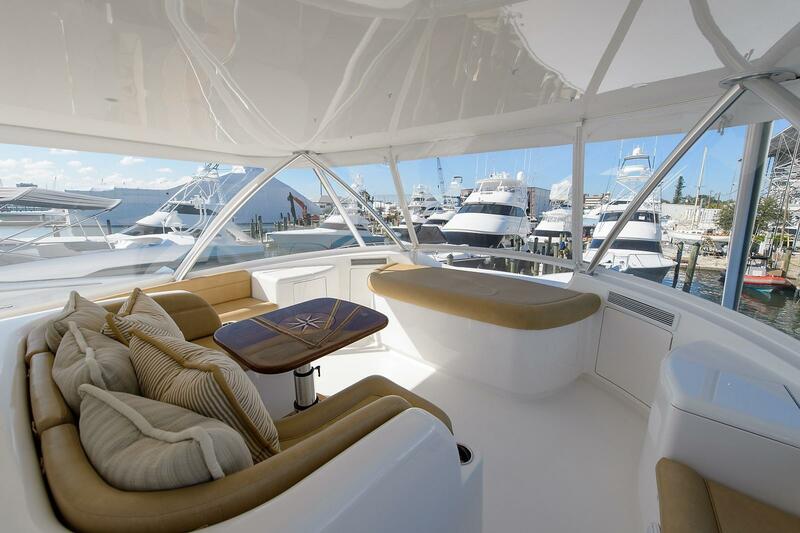 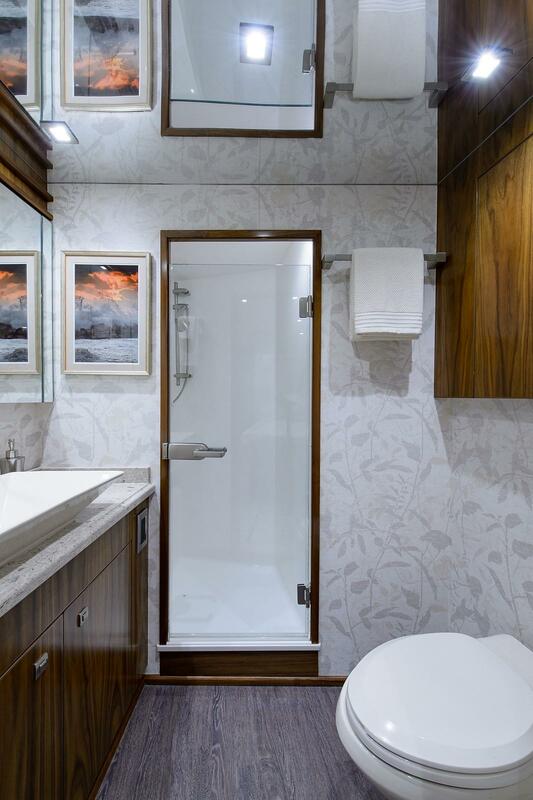 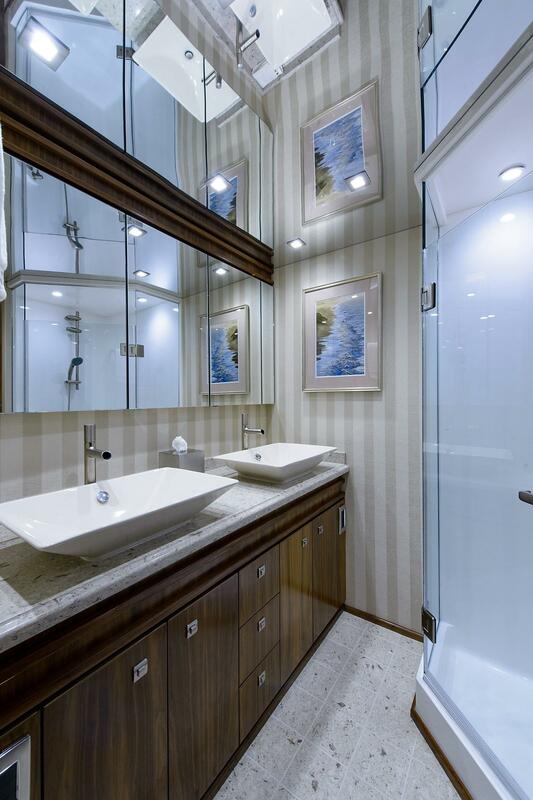 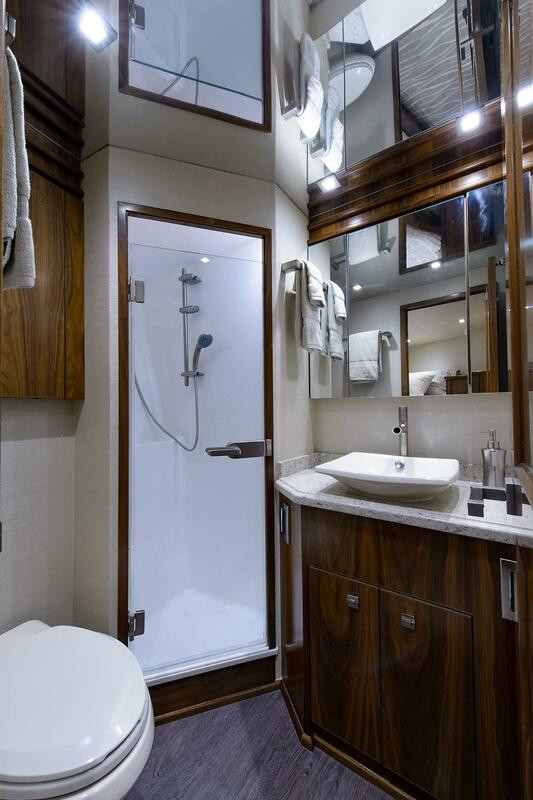 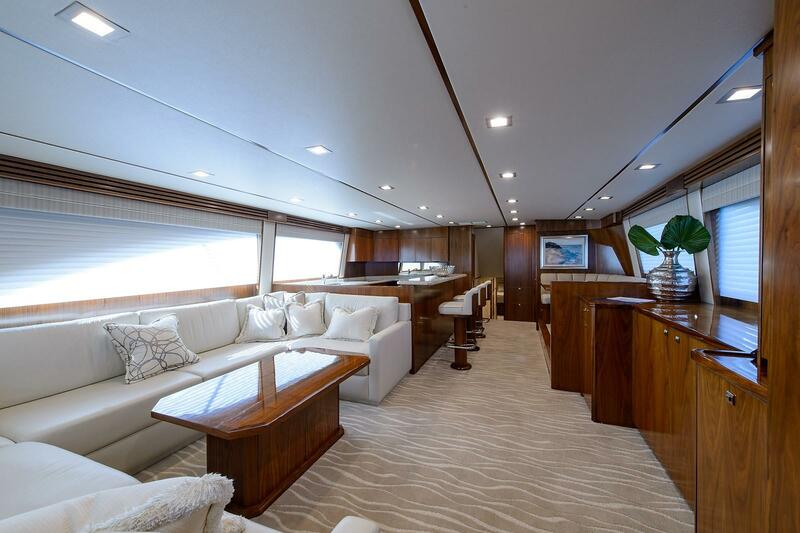 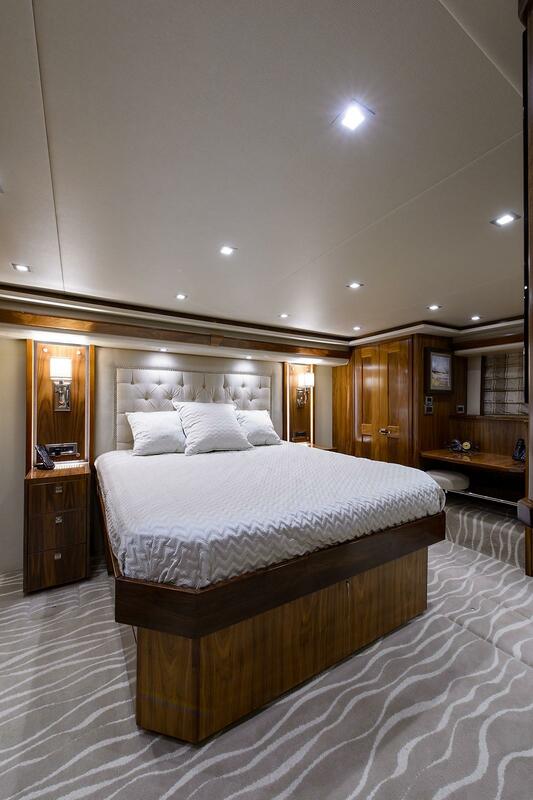 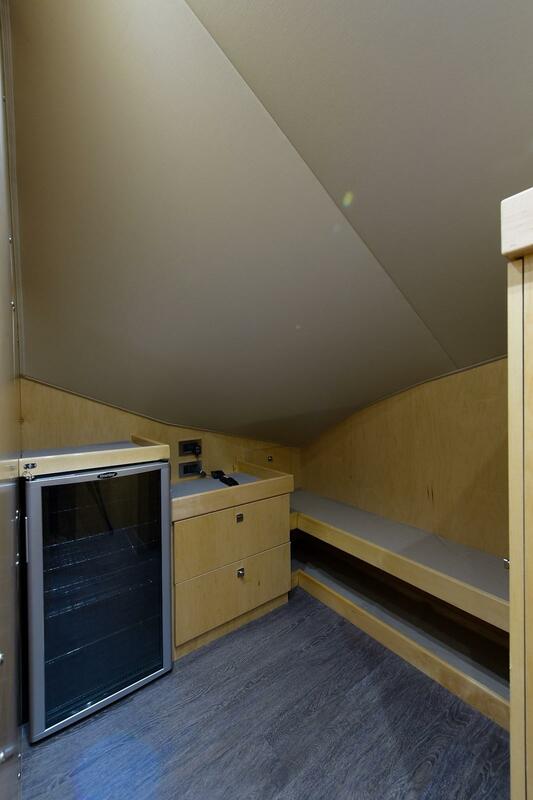 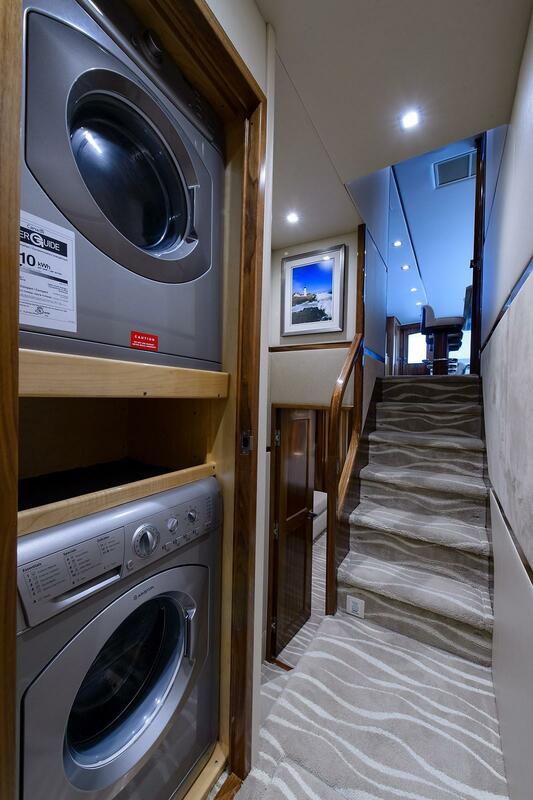 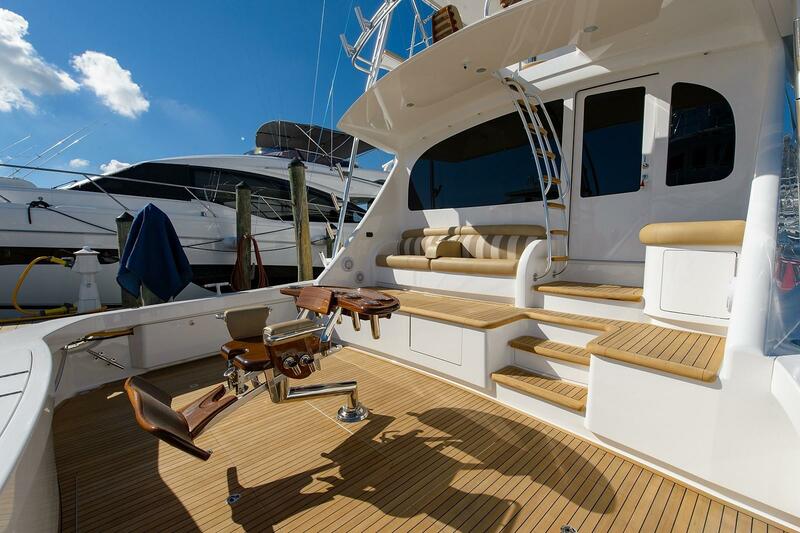 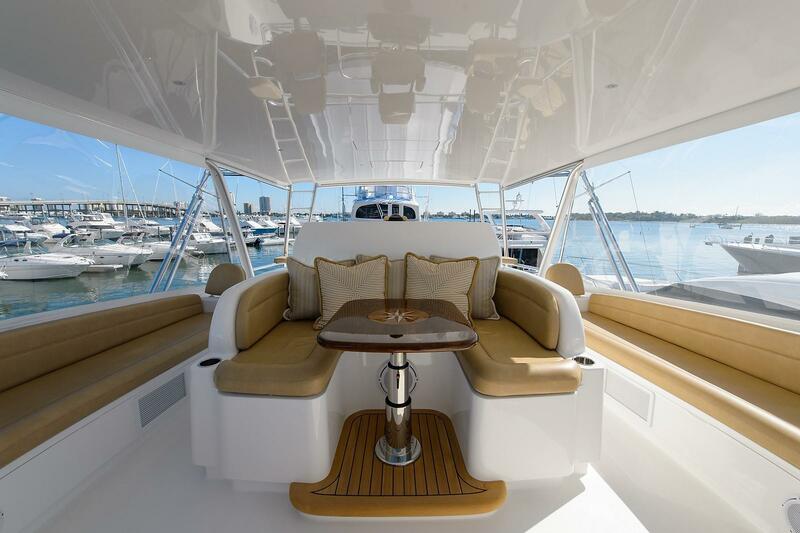 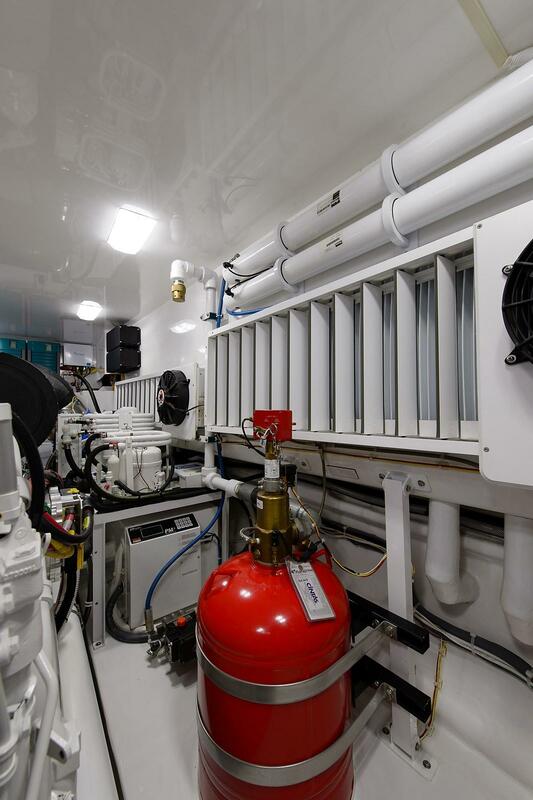 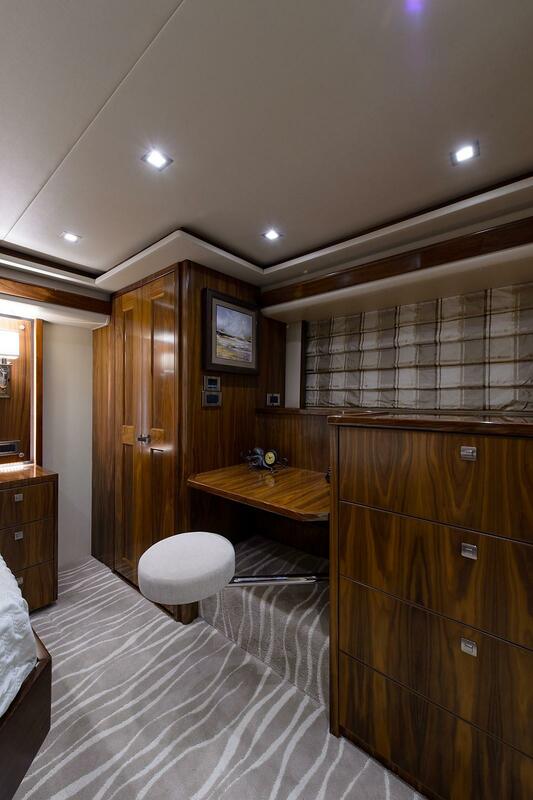 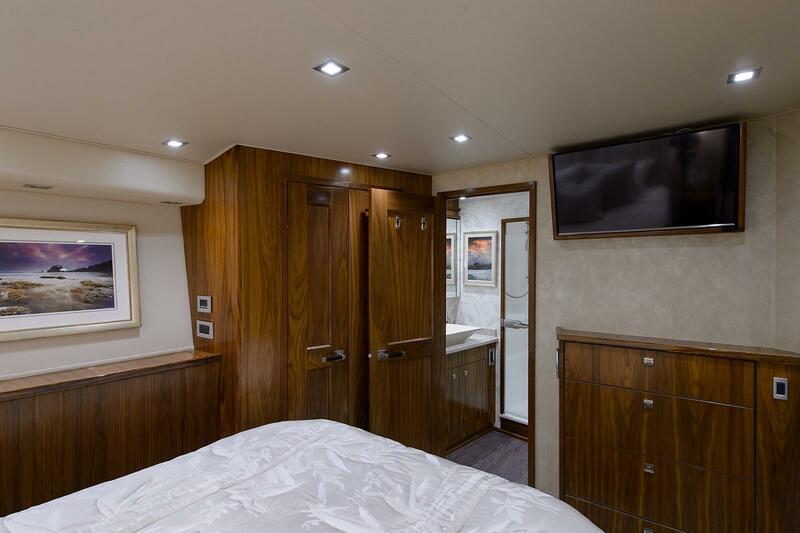 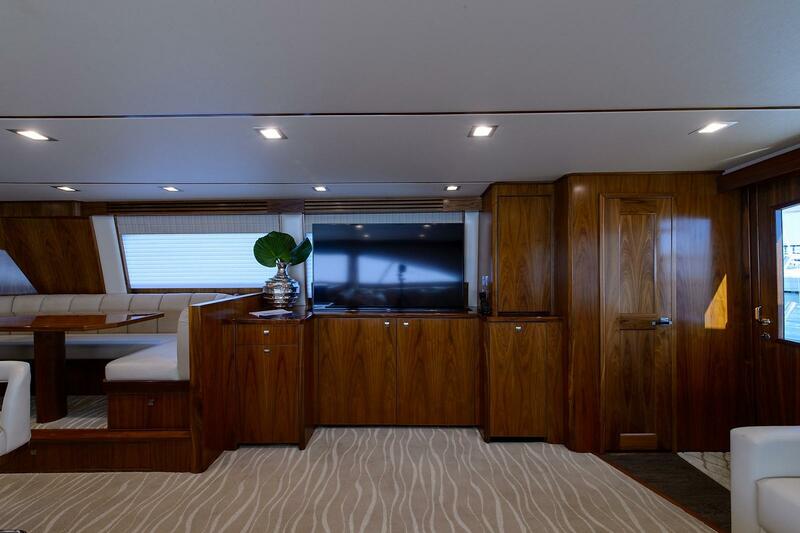 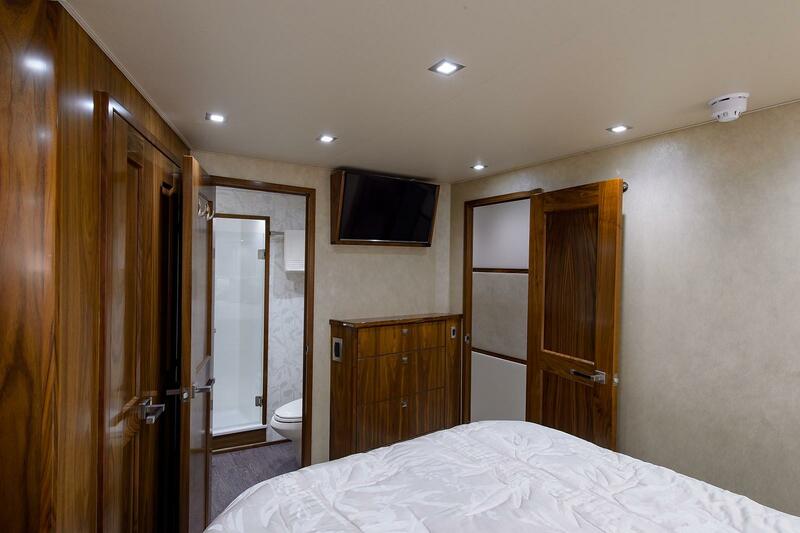 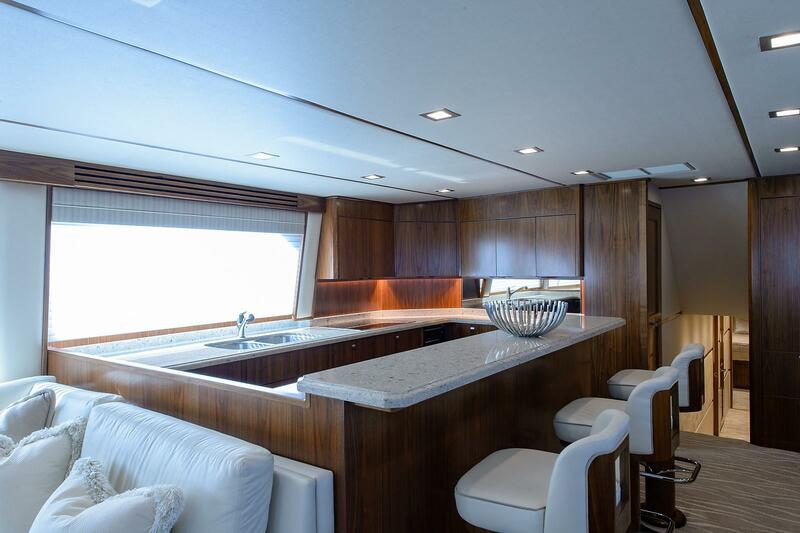 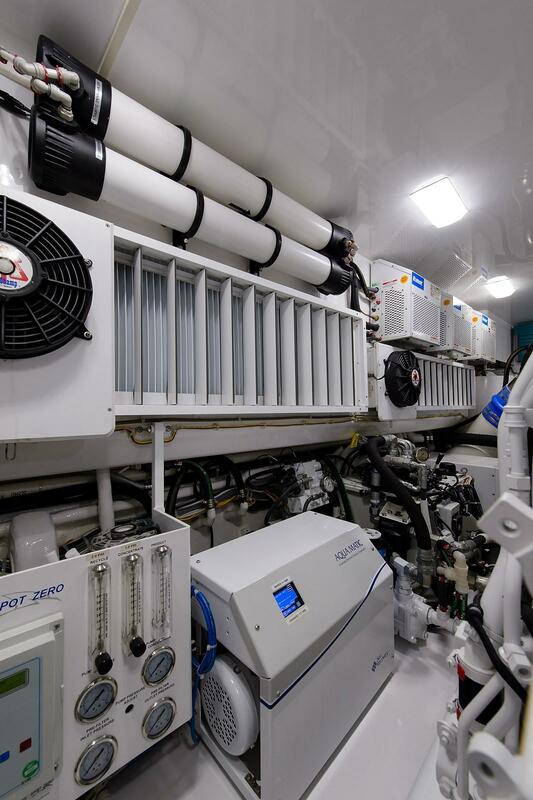 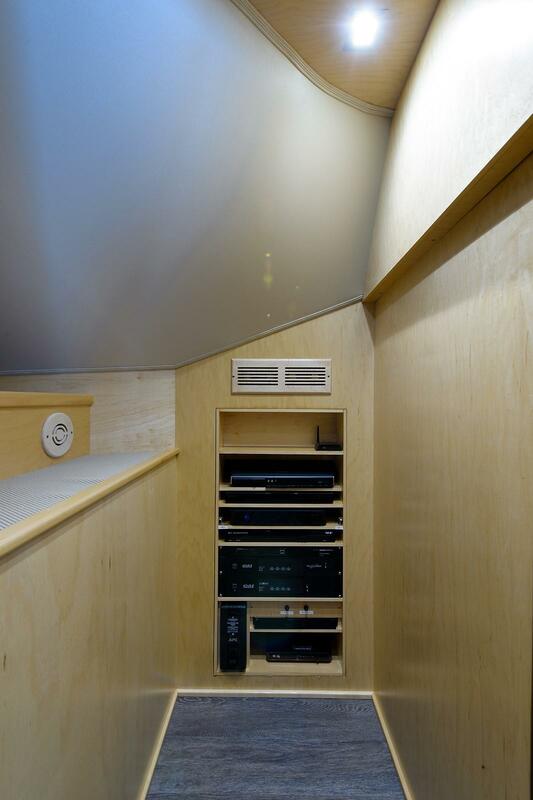 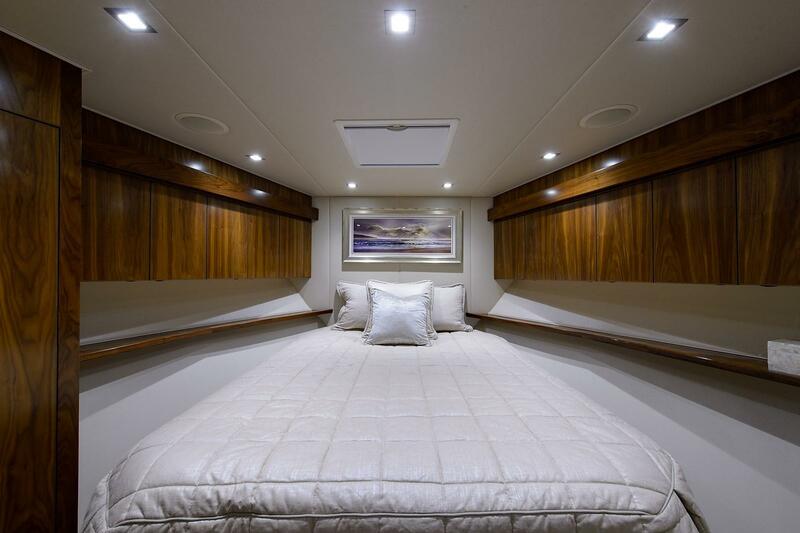 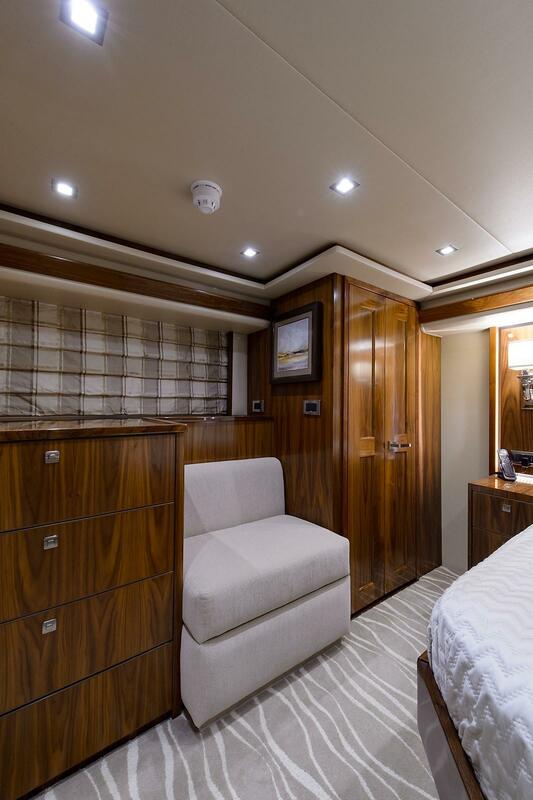 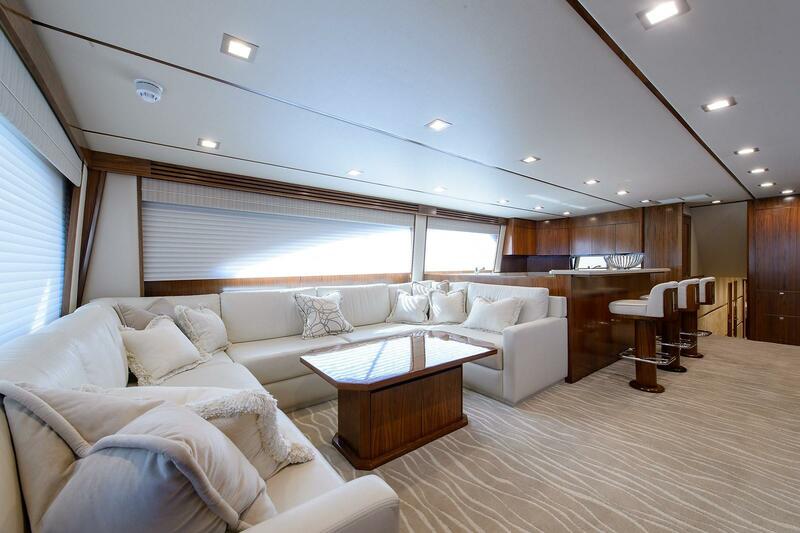 The HMY 80 Viking Trade features a 5 stateroom layout all with private ensuite heads. 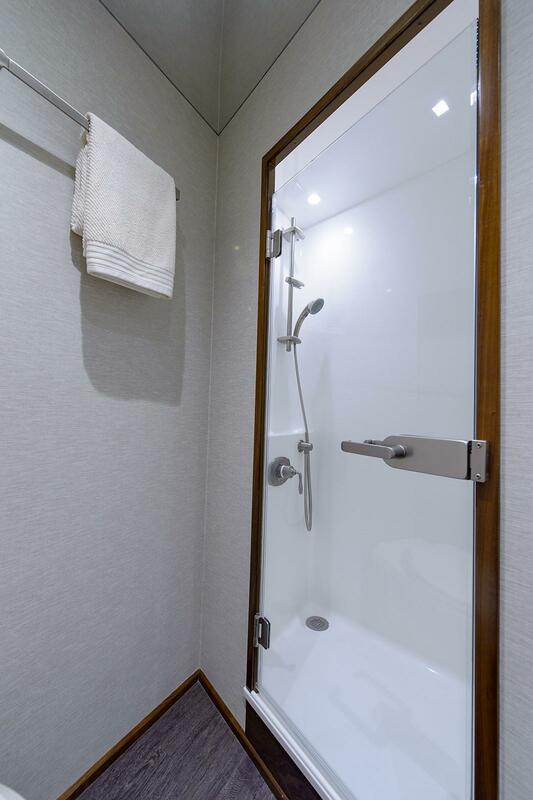 There is a day head located aft in the salon as well. 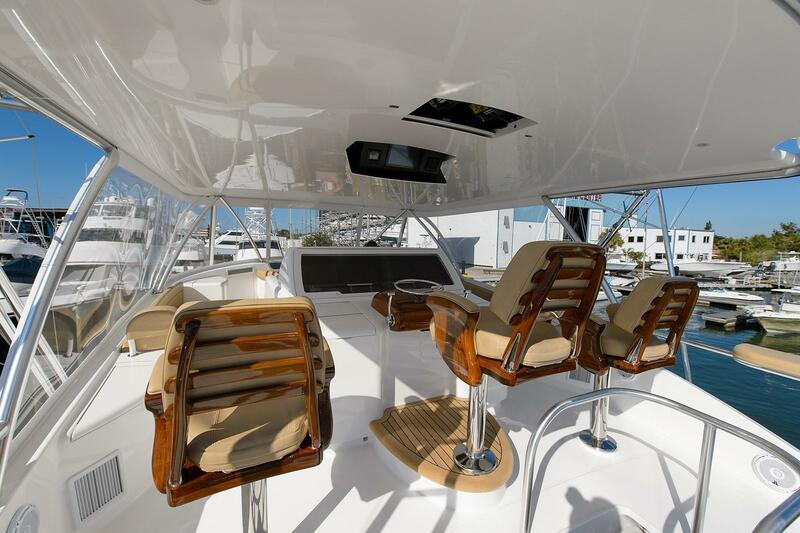 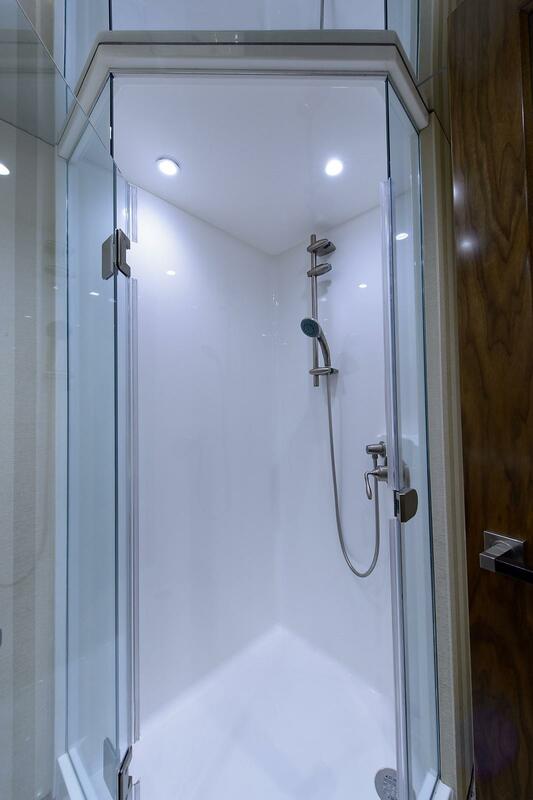 Prestige Décor package with numerous custom upgrades throughout. 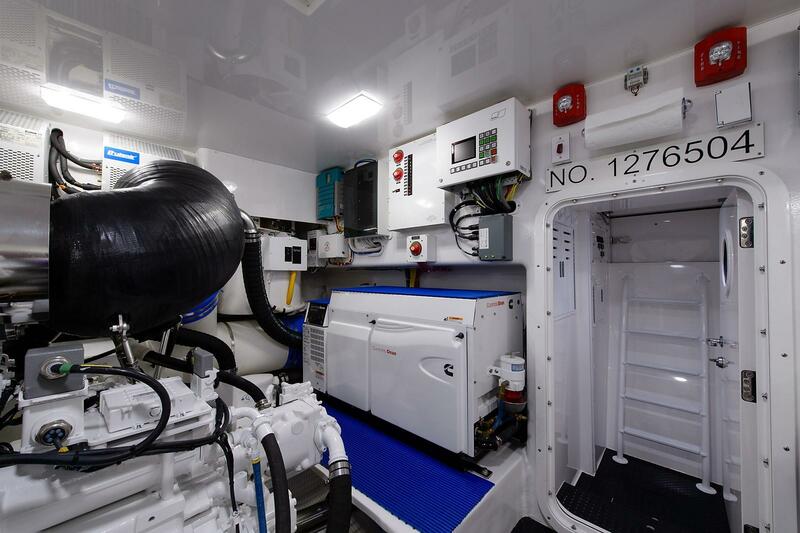 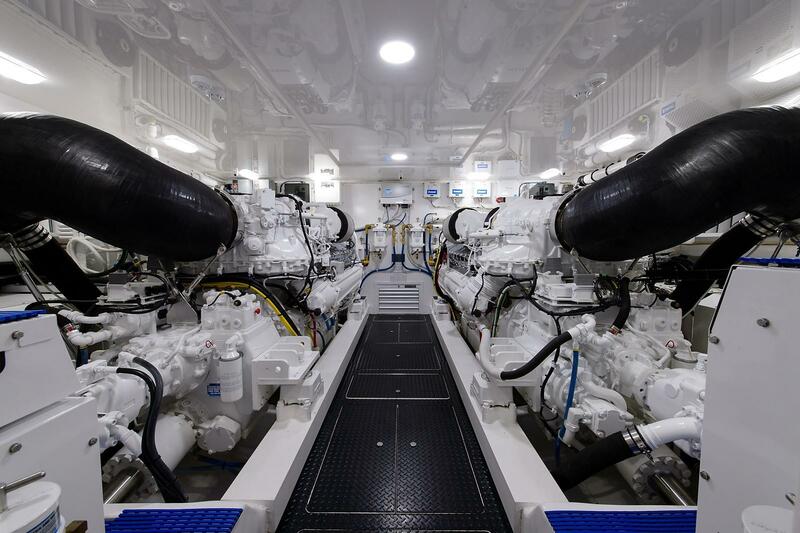 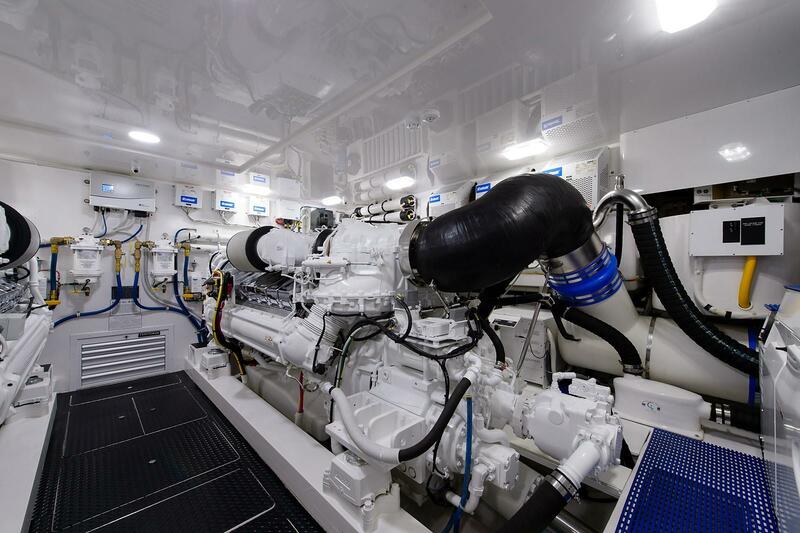 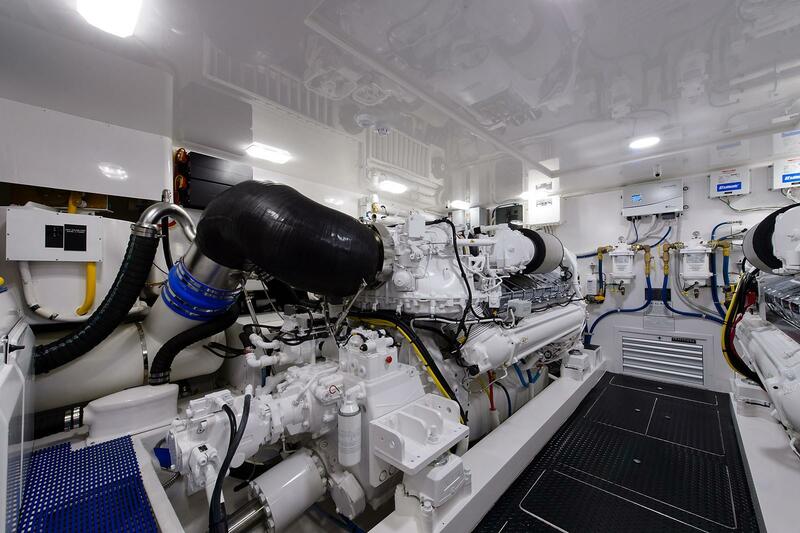 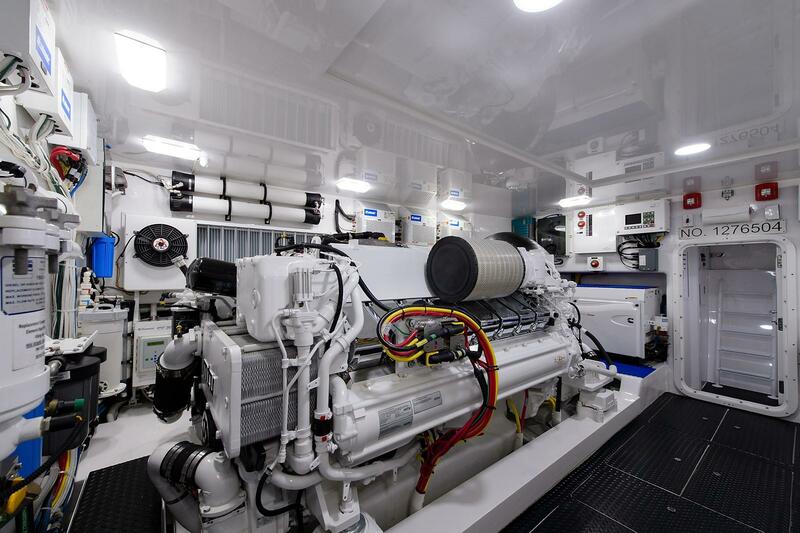 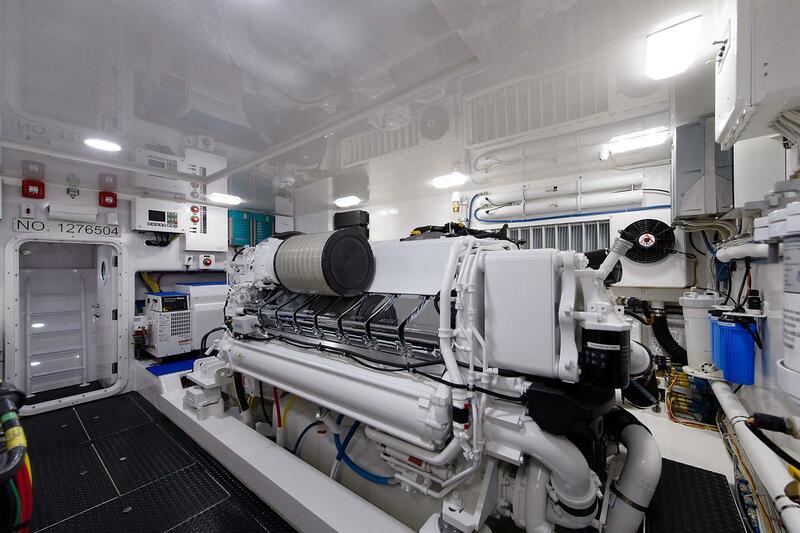 Twin MTU 16V2000 M96L 2635hp engines (525 hours) MTU extended propulsion coverage until February 2021! 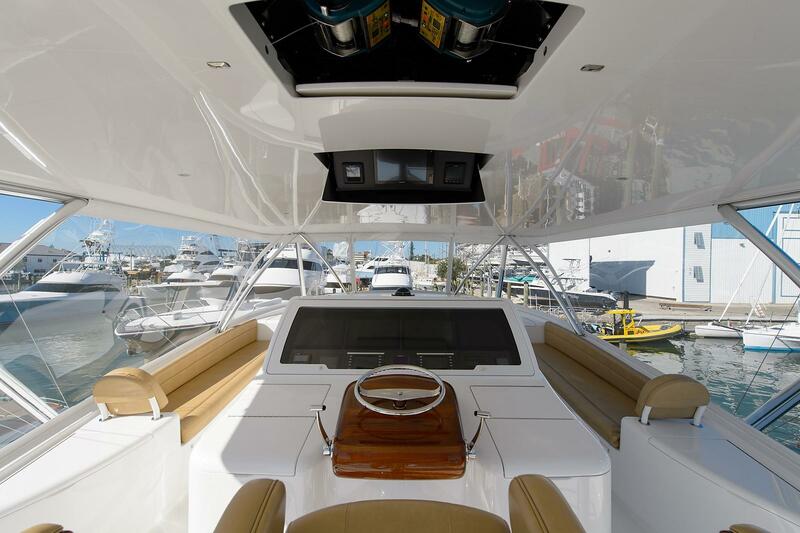 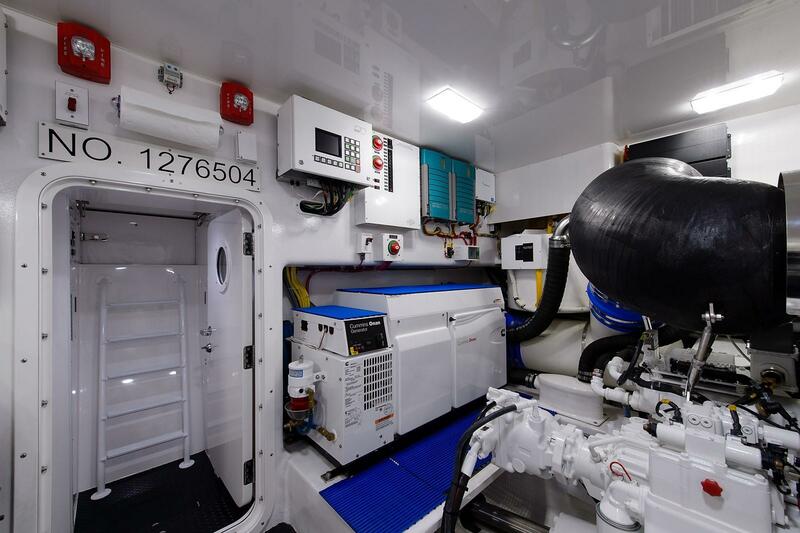 Equipped with the very best Viking has to offer and only 475 hours on her MTU engines. 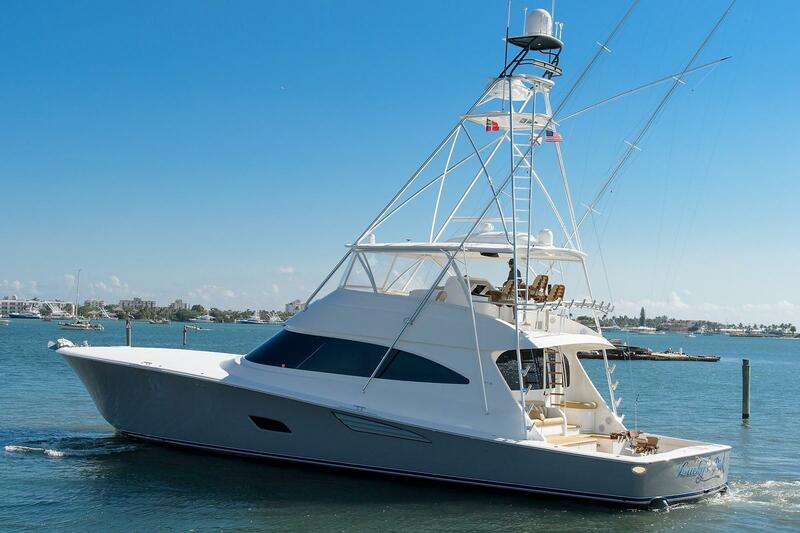 She was outfitted to be Viking Yacht's personal demo and was sold just after completion to her current owner who is moving up to a larger Viking. 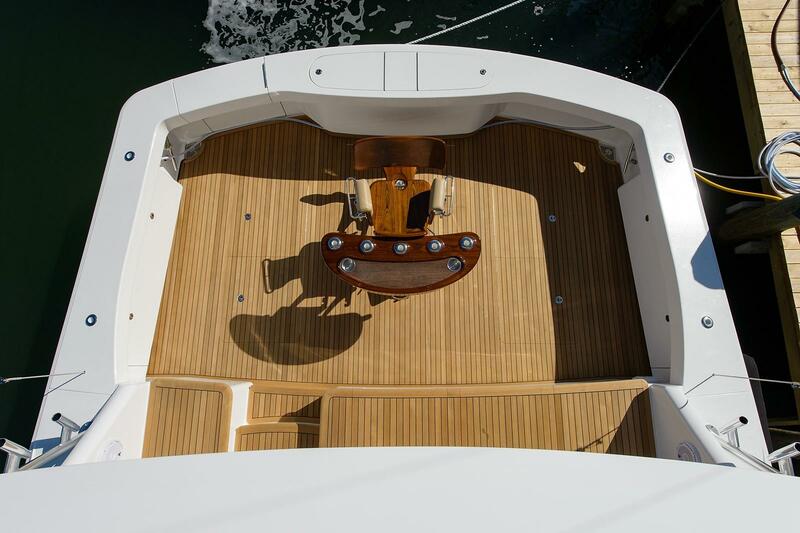 Mint condition best describes her. 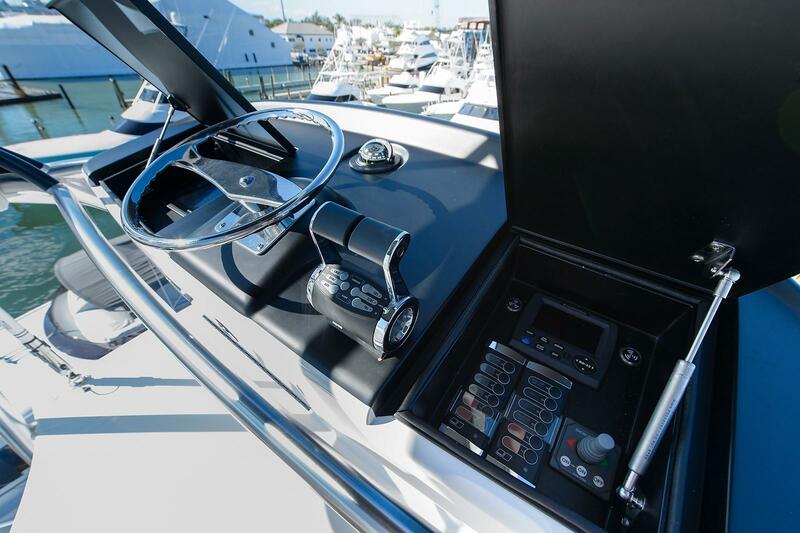 Turn key in every respect and available today.